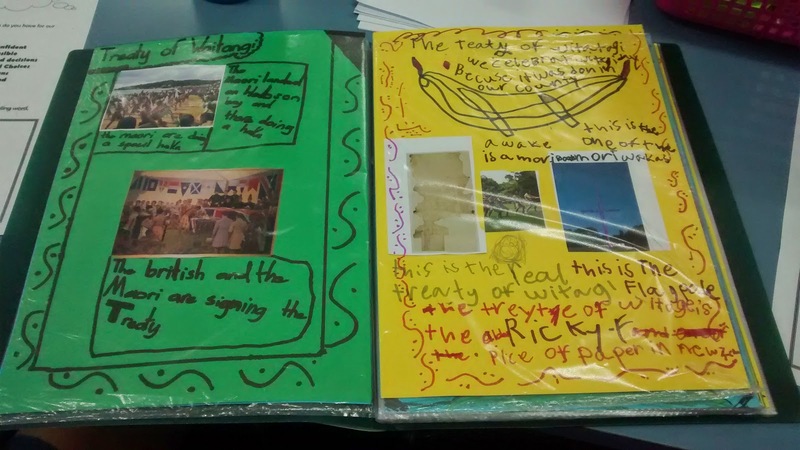 We talked about the Treaty of Waitangi. Then we wrote some facts about the Treaty. We printed out some pictures from the computer and stuck them beside our writing. 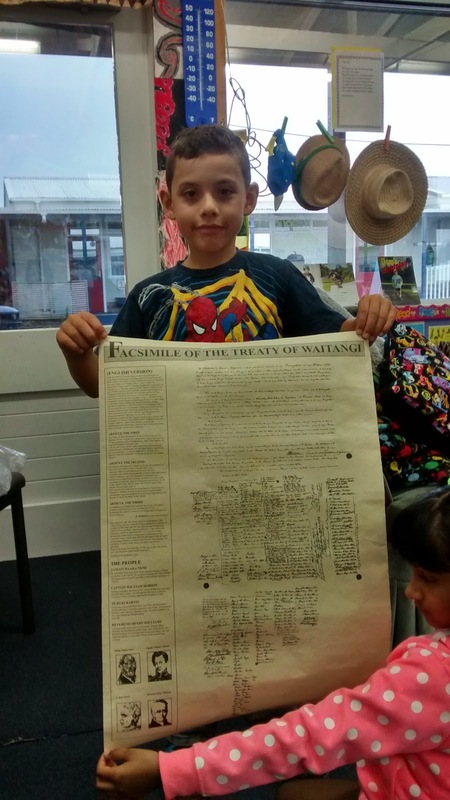 Brandon and his family have been to the Waitangi Treaty house. His Dad is a Chief and he is called a Chieftain. Brandon brought in a copy of the Treaty he bought at the Treaty house. Thankyou Brandon for sharing. This is so exciting!